In the last decade, fiber-optic distributed temperature sensing (DTS) methods have gained ground among researches and have been used to measure the thermal profile of natural water bodies. DTS technology enables the use of a fiber-optic cable for both data transmission and temperature sensing at large extensions, offering an alternative for continuous measurements at a wide range of spatial scales that otherwise would require several connections and instruments. 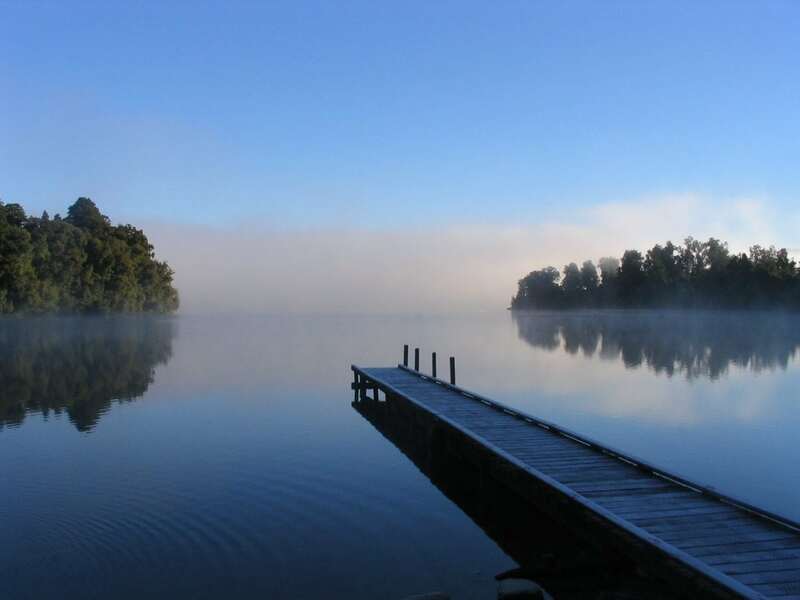 An interesting application of these temperature measuring systems at high spatial resolution is the continuous monitoring of a stratified water body. Density stratification is usually coupled with thermal patterns. This is particularly true for salt-gradient solar ponds. A salt-gradient solar pond (SGSP) is a water body artificially stratified with salts that operates as an energy collection and storage system. 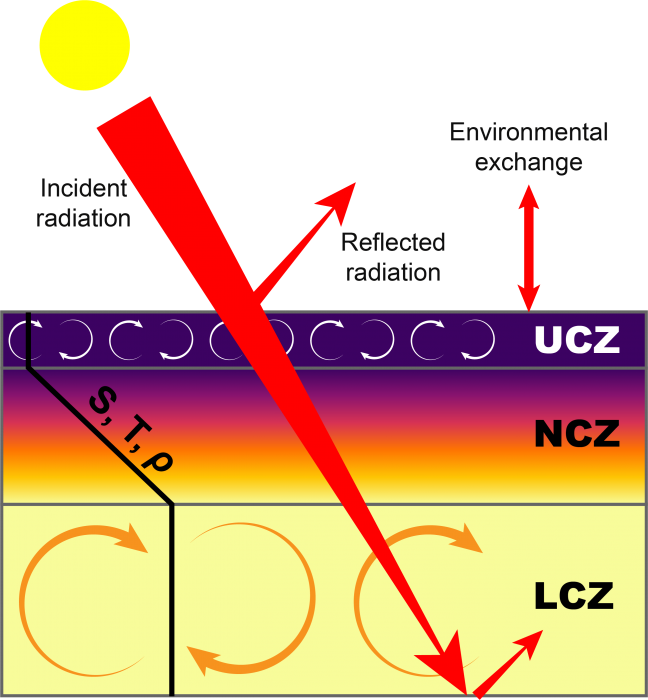 The crucial component of the system is the non-convective zone (NCZ) consisting in a layer of water with a salinity gradient that produces a density gradient, which prevents global convection within the pond and acts as insulator, sitting between the upper convective zone (UCZ), exposed to atmospheric processes and heat loss, and the lower convective zone (LCZ), the high salinity brine where most of the thermal energy is stored. The heated brine cannot rise beyond the NCZ because the effect of salinity on density is greater than the effect of temperature. The stored thermal energy can be transported back to the atmosphere from the LCZ only by conduction through the NCZ. Hence, the stability and thickness of the NCZ is a critical parameter for an effective solar pond operation. Figure 1: Schematic of a salt-gradient solar pond (SGSP). A salinity (S) gradient maintains a stable density (ρ) gradient, despite the thermal (T) gradient that counteracts the salt gradient. UCZ is upper convective zone, NCZ is non-convective zone and LCZ is lower convective zone. Reprinted with permission from Elsevier from: https://doi.org/10.1016/j.solener.2018.05.078. The convection fluxes above and below the NCZ can erode the salt gradient over time. A DTS setup and an array of independent point-in-space temperature loggers were used to monitor the thermal evolution of a laboratory-scale SGSP and to investigate the temporal evolution of the NCZ. The main characteristic regarding the temperature of the convective zones (UCZ, LCZ) is that they have a uniform temperature, i.e., ∂T/∂z = 0, in contrast with the non-convective zone (NCZ) thermal gradient (∂T/∂z ≠ 0). So, the thickness of the NCZ can be determined through thermal measurements by calculating the finite difference and locating the boundaries of the NCZ where this difference becomes 0. To improve the results of the NCZ monitoring with the point-in-space data, two methods of interpolation were tested. The typically used spline yielded unsatisfactory results that were not representative of the expected thermal profile of the system. In contrast, PCHIP, a shape-preserving interpolation method, prove to be more suited for this application. An in-depth analysis and comparison of these can be found in the original article (see below). It is important to note that the higher resolution data also required a treatment to yield smooth results. This means that data treatment should always be considered, and the best methods depend both on resolution and the nature of the object of study. The article presents comparisons that could give some insight into these kinds of decisions. 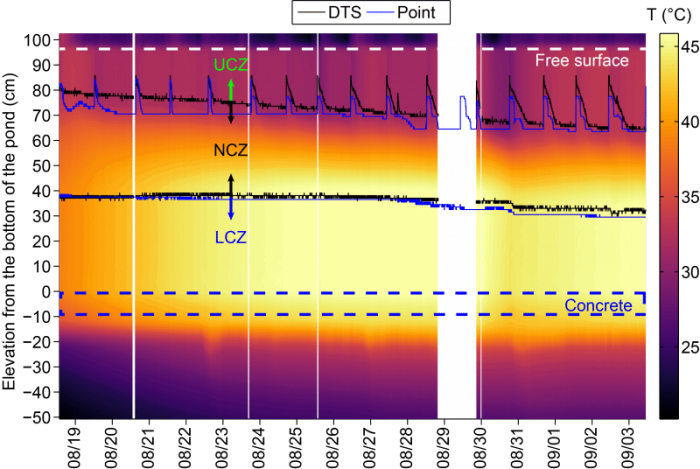 Figure 2: SGSP thermal evolution measured with DTS with NCZ boundaries overlapped. Temperatures of the air above and the ground below was obtained with a fiber optic cable through the whole system. Reprinted with permission from Elsevier from: https://doi.org/10.1016/j.solener.2018.05.078. Comparable results were obtained with both systems, but smoother transitions are depicted with the higher spatial resolution data that are expected to be more representative of a continuous process, specially at the upper boundary where a more gradual decline is observed with higher resolution. The estimated rate of fall of the UCZ-NCZ boundary was 0.97cm/day, close to values previously reported on similar installations. This work proves that it is possible to continuously monitor the stratification and evolution of a water body through thermal measurements, but more interesting contributions are the different approaches and considerations proposed for these kinds of studies. Higher resolution is desirable, but resources are limited and good results can also be achieved with a lower resolution by using an interpolation method better suited for the application. These findings are described in the article entitled Use of fiber-optic distributed temperature sensing to investigate erosion of the non-convective zone in salt-gradient solar ponds, recently published in the journal Solar Energy. This work was conducted by Andrés Sarabia, Francisco Meza, and Francisco Suárez from the Pontificia Universidad Católica de Chile. Andres is a hydraulic civil engineer from the Pontifica Universidad Catolica de Chile. Francisco is a lab head at the Pontifical Catholic University of Chile. Francisco is an associate professor at the Pontifica Universidad Catolica de Chile. Specialty: Hydrogeology and hydrology, water and energy interaction, temperature distribution measurements using fiber-optic Distributed Temperature Sensing, salt-gradient solar ponds, direct contact membrane distillation, renewable energies, pollutant transport models. Previous Post« Previous How Can We Use Fluorescence And Artificial Intelligence To Better Control Blue-Green Algal Blooms?